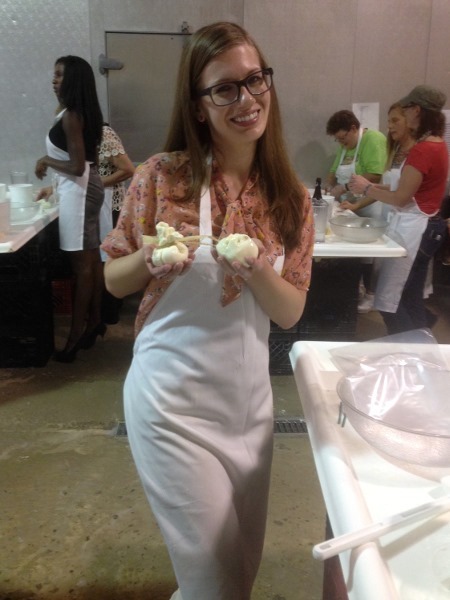 Last week I received an invitation to attend a special “Ladies’ Night: Cheese & Beer Pairing Class.” The event was hosted by Goose Island and took place at Zingerman’s Creamery in Ann Arbor. Naturally I could not pass up this opportunity! Beer are cheese are two of my favorite things in the world. As part of Goose Island’s mission to spread their new lineup of fruit-fusion sour beers beyond Chicago, they are traveling to 32 different cities around the country as part of “Migration Week,” and last week they were in Ann Arbor. Before this event I’d actually never tried Goose Island’s craft brews, but I was pleasantly surprised by their offerings after tasting four at the event. 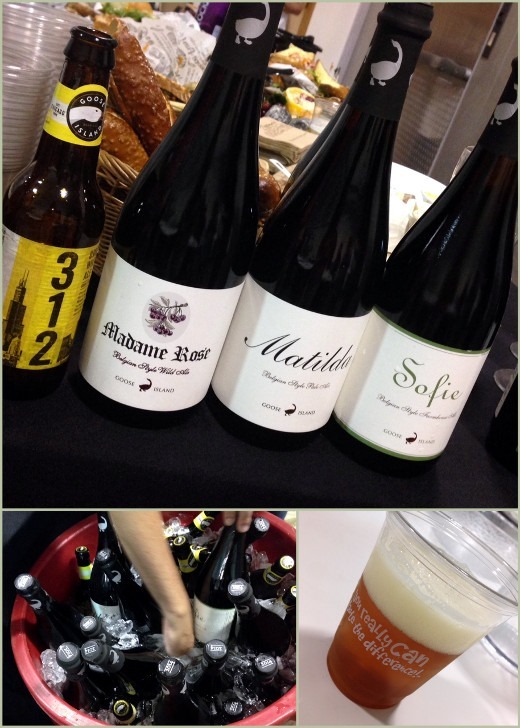 Another interesting brew I tried was the Madame Rose, which is aged in wine barrels with Michigan cherries. I really enjoyed this unique beer, laden with sour and malty fruit flavors and tannins that make you question whether you’re drinking beer or wine. And don’t worry – we didn’t go hungry either! 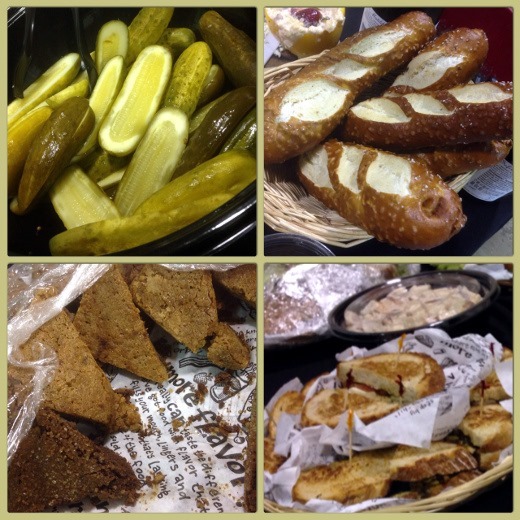 All of us beer-lovin’ ladies were absolutely spoiled with tons of amazing Zingerman’s food, including sandwiches, pickles, potato salad, and pretzel bread. 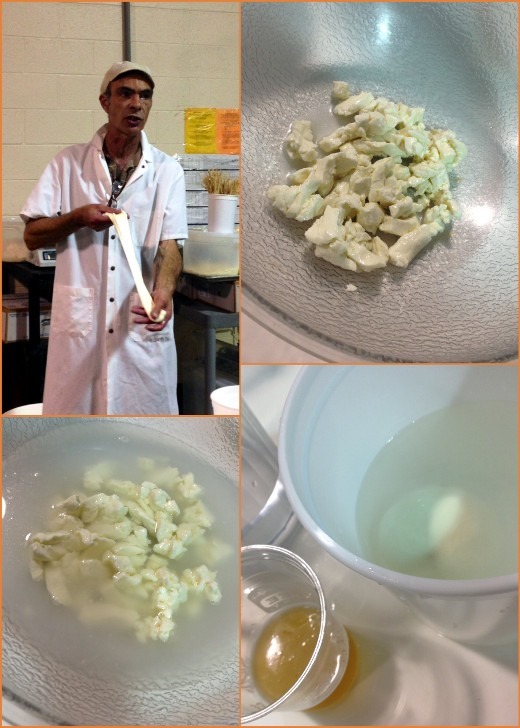 Then, after noshing and sipping, we got to make our own cheese! 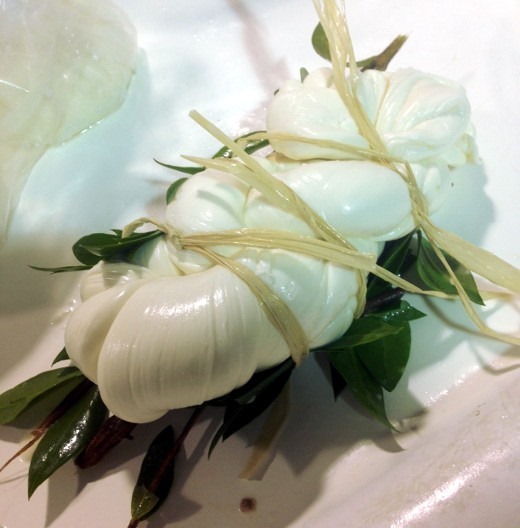 I made mozzarella and burrata! 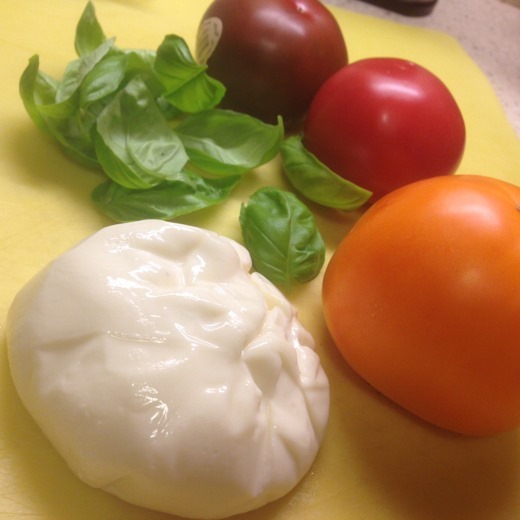 Instructed to eat my fresh mozzarella THAT night, I picked up some pretty heirloom tomatoes on the way home for a caprese salad. It’s a hard job, but somebody’s gotta eat that cheese. My goodness, it was DELISH, too. 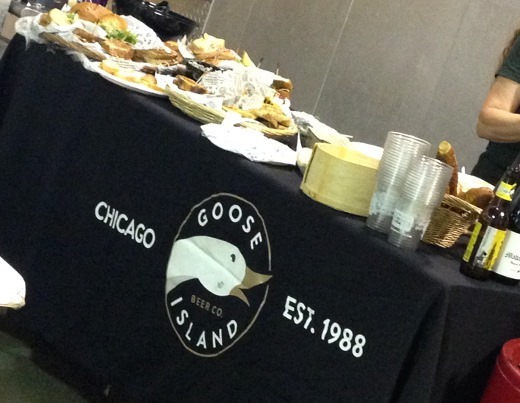 I’d like to give a huge THANK YOU to Goose Island for inviting me to this wonderful event and sharing their awesome new lineup of fruit-fusion sour craft brews (and also to Zingerman’s Creamery for teaching me how to make my own cheese and for providing fabulous food!). 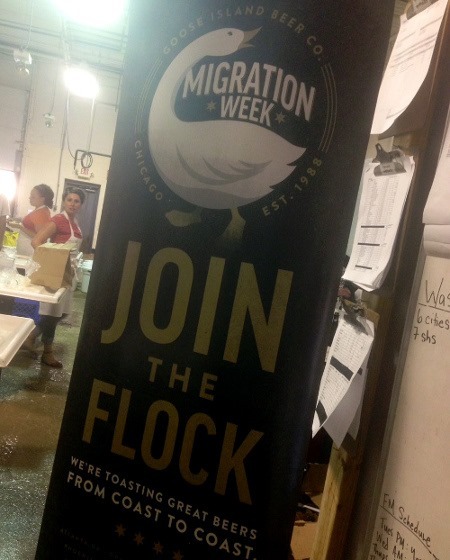 Check out if Goose Island is headed your way this summer for Migration Week. Oh, bummer for the guys! Us ladies had a fun time. Thanks for the tip re: Sofie @ Costco! 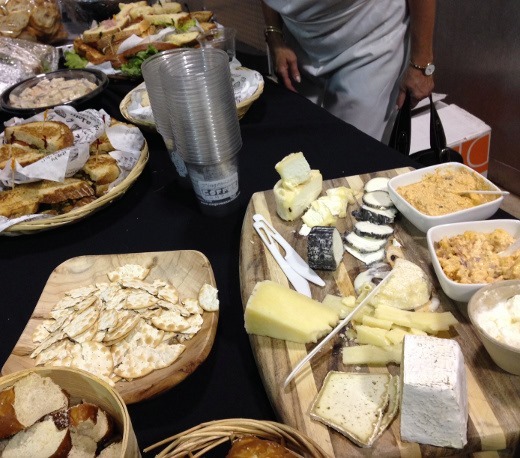 Beer AND Zingerman’s cheese? That sounds amazing. AMAZING!